Ultimate Ears has this week added a new addition to their range of Bluetooth speaker range, in the form of the newly launched Ultimate Ears UE BOOM. The UE BOOM speakers have been designed to provide 360 degree sound from a wireless carry anywhere speaker, that can connect easily to Bluetooth devices. The new UE BOOM speakers have a range of about 50 meters and measure only 4.06 x 4.06 x 10.06 inches, and its internal Lithium-ion rechargeable battery is good for 15 hours of playback on a single charge. Another great features of the Ultimate EarsUE Boom speaker is its ability to wirelessly connect two UE BOOMs together in stereo via the UE BOOM app. 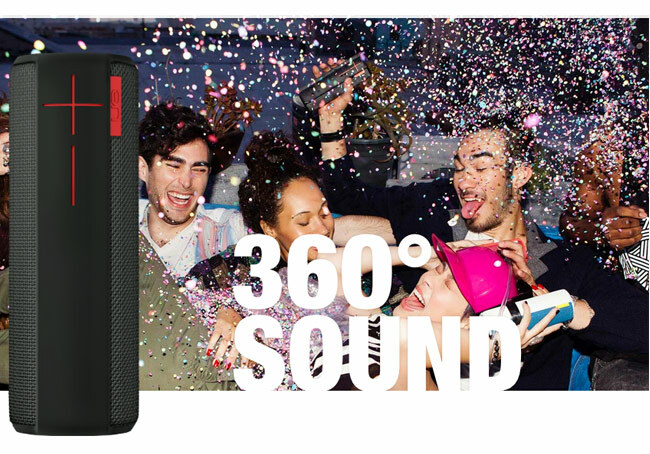 The Ultimate Ears UE BOOM is now available to purchase from online stores for around $200.